The C-suite is changing. Specifically, the role of the chief financial officer (CFO), which has evolved almost beyond recognition over the last decade. Theirs is a function that has been transformed perhaps more any other within the senior executive team, so what is driving this change and what will the future CFO look like? These were the questions that we sought to address in a feature for The Times newspaper. Entitled ‘Risks of popping up above the parapet: The higher the profile required of modern chief financial officers may mean they are vulnerable in a volatile business climate’, Carmichael Fisher’s head of financial services Paul Twine argued that the role of the CFO as the chief bean counter couldn’t be further from the truth. He said: “Roll back the clock as recently as 10 or even five years and the finance function was reactive, but that has changed. Today, CFO’s sit tall at the heart of the business with a clear and influential voice.” Indeed, of all those who sit on the executive team, the CFO is now the most likely to act as counsel for the CEO. A CFO today performs a role that has “become broader and more strategic”. They are there to future plan and proof the business and as a result what is expected of them is significantly different to a decade or more ago. In practice, this means developing a set of skills that will enable them to master the new rules of the game. With the exception of the chief technical officer, few members of the executive team have had to develop such a range of skills as the CFO within a remarkable short period of time. The most important of which is that of emotional intelligence. This is especially the case for those CFOs operating across multiple locations – a factor that is increasingly commonplace. Globalisation is seeing CFOs having to manage a finance function across several jurisdictions, diverse cultures and different time-zones. Understanding these nuances can be challenging and it takes someone capable of ensuring that their teams – wherever they may be – are all aligned and operating with the same philosophy and level of engagement. Since the economic downturn, consumer trust in organisations has taken a nose-dive and transparency, in the way in which businesses operate, has moved from being a nice-to-have to an essential aspect of modern corporate life. This is where today’s CFO plays a leading role. CFO’s have a far greater commercial breadth and influence than ever before. But that takes someone who not only has the technical expertise but also the wherewithal to identify and mitigate any risk before it escalates. It is they who the CEO leans on for support when pushed hard by stakeholder. They react calmly and with confidence and in doing so, they enable the organisation to see off any major threats, protect its reputation and build investor confidence. Having operated in this space for almost 20 years as a finance executive search firm, we have seen how the expansion of their remit has seen the fate of the CFO become more aligned with that of their CEO. Of course, this can work the other way, too. If a CFO doesn’t follow the CEO, their position is less certain. The arrival of a new CEO may precipitate a period of change for the organisation and the CFO will be the one who will provide a sense-check for the incumbent – a barometer, if you like, of the business. But, if the current CFO fails to adapt or establish an effective working partnership with their new CEO, they may soon find themselves the first victim of the new regime. The article in The Times concluded by stating that CFOs are “hanging on to their reputation for reliability.” At first reading, one might deduce the tone to be somewhat negative towards the role of the CFO. Rather, the opposite is true. Paul and the journalist were arguing that because the role of the CFO has become so important and influential within such a short period of time, the support for post holders elsewhere in the C-suite isn’t perhaps as strong as it should be. The dynamic is a new one and it is more a matter than when rather than if the CFO will be regarded as – using Deloitte’s terminology – the chief steward, operator, catalyst and strategist for the organisation. 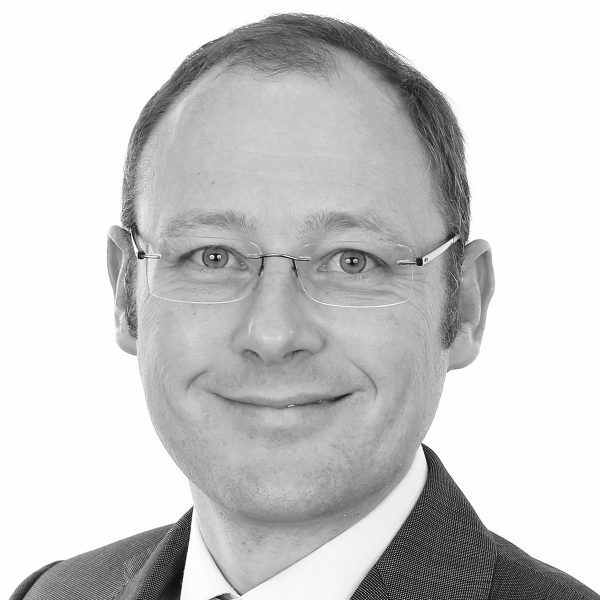 Paul has over 20 years’ experience in executive search, and established the Banking and Financial Services practice at Carmichael Fisher back in 2007. It’s evolution has followed recent market disruption, whilst also retaining a foothold in more traditional segments.